The US Food and Drug Administration (FDA) granted Halaven orphan drug designation. Photo: courtesy of Eisai. Halaven is the first FDA-approved drug for liposarcoma. Photo: courtesy of Eisai. Halaven is a synthetic analogue of halichondrin b, isolated from the marine sponge Halichondria Okadai. Photo: courtesy of Eisai. 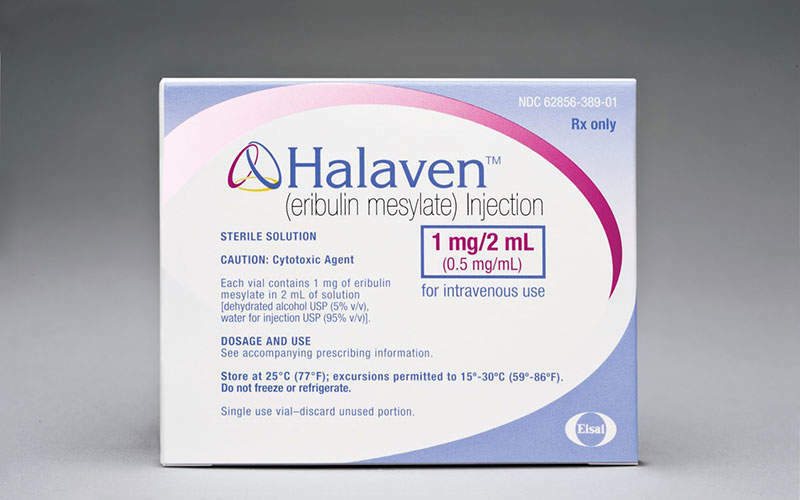 Halaven (eribulin mesylate) is an injectable chemotherapy drug developed by Eisai for the treatment of unresectable or metastatic liposarcoma patients that previously received anthracycline-based chemotherapy. Eisai submitted the new drug application (NDA) for Halaven for the treatment of liposarcoma to the US Food and Drug Administration (FDA), Europe Commission (EU) and Japan in July 2015. It further submitted a supplemental new drug application (sNDA) for the drug, which was accepted by the FDA in September 2015 and a priority review status was granted. 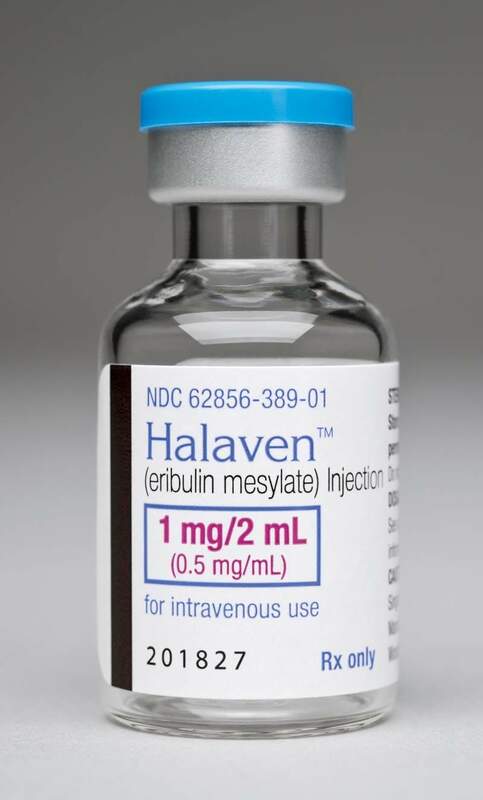 The FDA approved Halaven on 28 January 2016, making it the first FDA-approved drug for liposarcoma. Halaven was granted orphan drug designation in the US and Japan. Halaven is approved and marketed in Japan for the treatment of metastatic breast cancer. Liposarcoma is a specific type soft tissue sarcoma that forms tumour in the fat tissue of the body. Soft tissue sarcoma produces cancer cells in the soft tissues of the body such as muscles, tendons, fat, blood vessels, lymph vessels, nerves and tissues around the joints. Patients suffering from liposarcoma will develop painless deep-seated mass in the soft tissue and experience pain and functional impairment as the size of the tumour increases. Liposarcoma is comprised of different types such as well-differentiated liposarcoma, myxoid liposarcoma, round cell liposarcoma, pleomorphic liposarcoma, mixed-type liposarcoma and differentiated liposarcoma. Approximately 2,000 cases of Liposarcoma are diagnosed a year in the US. The disease mostly occurs in middle-aged and older adults. Halaven is a halichondrin-class microtubule dynamics inhibitor that has a distinct binding profile. It is a synthetic analogue of halichondrin b, isolated from the marine sponge Halichondria Okadai. Halaven causes mitotic blockage through its prolonged tubulin-based anti-mitotic mechanism resulting in apoptotic cell death. It also causes changes in the cell structure and gene expression, decreasing migration and invasiveness of the cells. "Halaven causes mitotic blockage through its prolonged tubulin-based anti-mitotic mechanism resulting in apoptotic cell death." 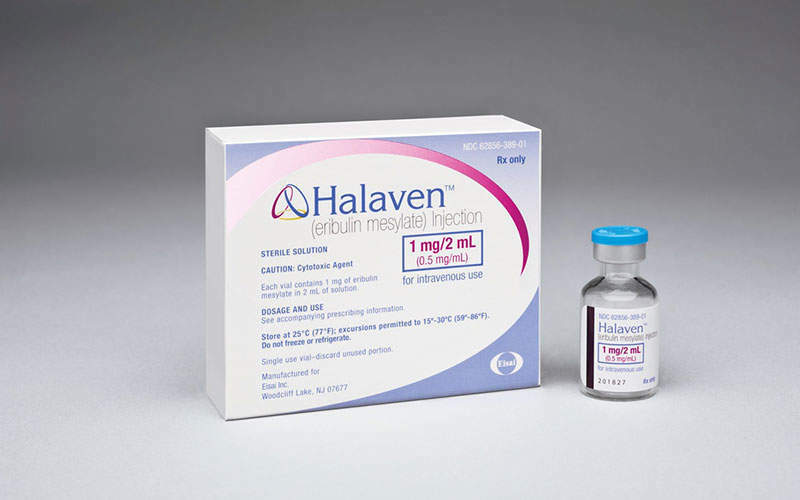 The FDA approved Halaven based on results obtained from a multi-centre, open-label, randomised Phase III study named Study 309, which evaluated the safety and efficacy of Halaven versus dacarbazine. The clinical trial enrolled 452 patients with liposarcoma (143 patients) and leiomyosarcoma (309 patients), who previous standard therapies of anthracycline-based chemotherapy. Patients were treated on either Halaven-1.4mg/m² on day one and day eight or dacarbazine 850-1,200mg/m² for every 21 days until the progression of disease. The study demonstrated a significant improvement in the primary endpoint, the overall survival (OS) in liposarcoma patients (71) treated with Halaven (overall survival was 15.6 months) compared to liposarcoma patients (72) treated with dacarbazine (overall survival was 8.4 months). The secondary endpoint, which was the progression-free survival rate (PFR) at 12 weeks, was met with Halaven recording a PFR of 33% compared to 29% in dacarbazine. In addition, no statistically significant difference was found in the progression-free survival (PFS) between Halaven and dacarbazine. Common adverse reactions in liposarcoma patients treated with Halaven were fatigue, alopecia, nausea, constipation, peripheral neuropathy, abdominal pain and pyrexia. Common grade three to four laboratory abnormalities were neutrophenia, hypokalemia, and hypocalcemia. Serious adverse reactions included a decrease in white blood cell count, neuropathy, harm to a developing foetus and changes in heart beat (QTc prolongation), which may also lead to death.